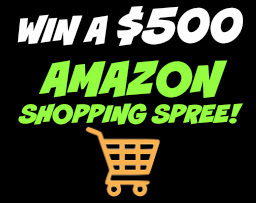 Now, through Nov 25, you can enter to win a $500 shopping spree on Amazon.com, sponsored by Kindle Daily Review. Just click HERE then scroll down the list of book covers and click one that looks interesting. (May we suggest Bed-Bugged, on sale for only $0.99 during the promotion?) Then follow the instructions at the bottom of the Kindle Book Review page to enter the contest. Good luck and happy browsing!